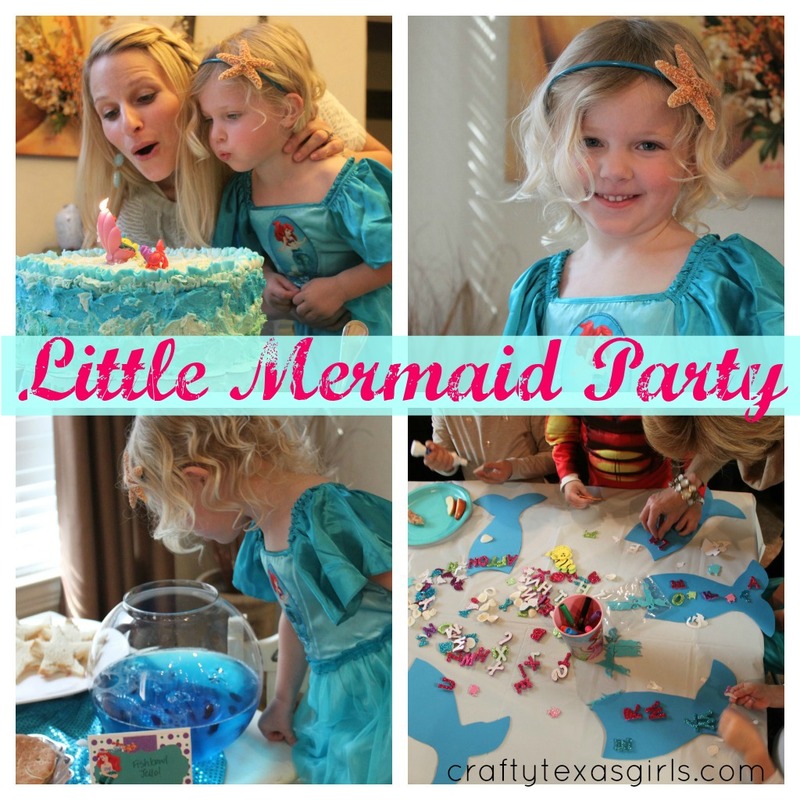 Who doesn't love a Mermaid party? I have been to several of these 'under the sea' events, even shared a few right here on my blog, but I have never actually hosted one! 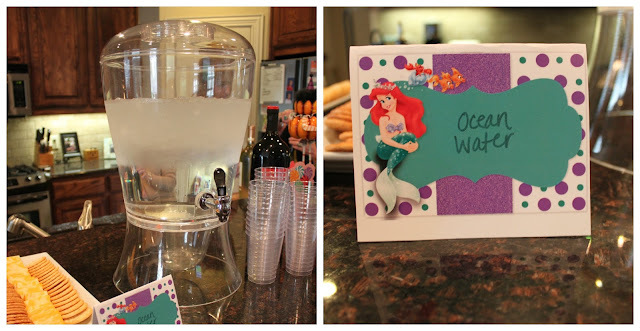 With all the fun details, a Mermaid party might be in my future. 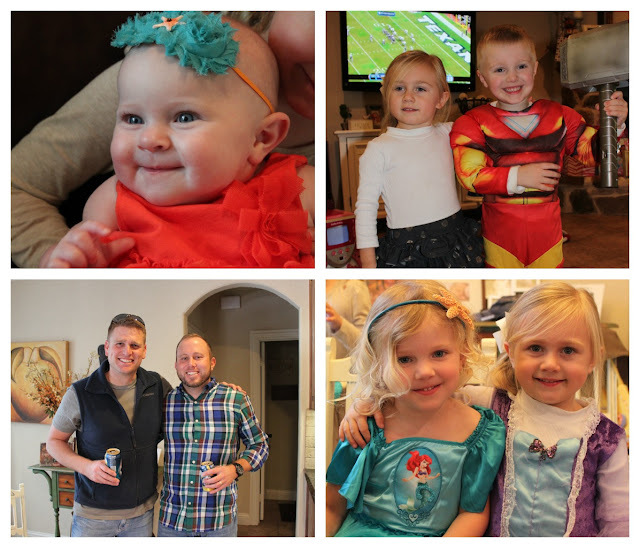 Today, I am featuring my niece's 3rd birthday, hosted by my sweet sister-in-law Jenn. Keep reading this post by clicking the link below. 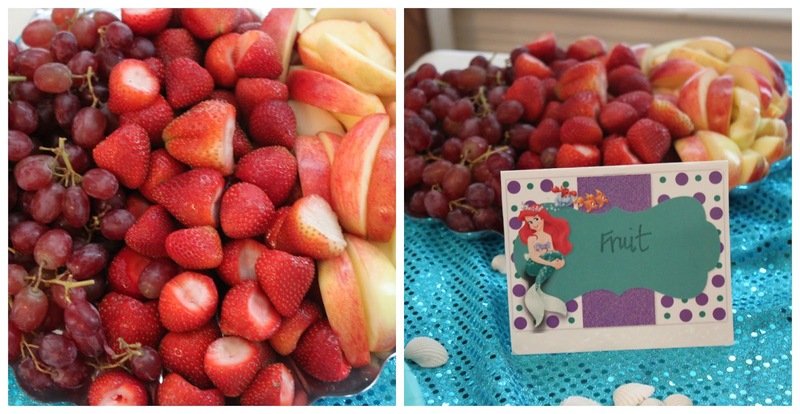 The adorable birthday girl loves the Little Mermaid, so Jenn planned lots of 'Ariel' themed food and activities. 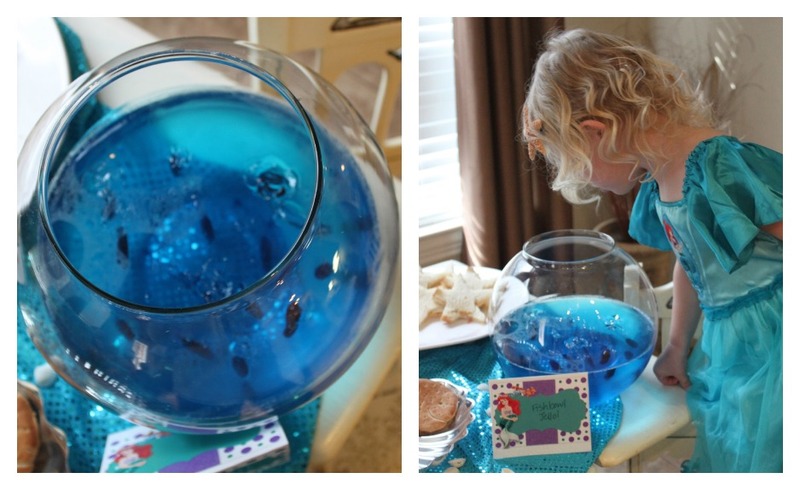 I love having parties at home because you can get so creative. There were just a handful of kiddos, so it was a relaxed atmosphere. Both the children and the parents enjoyed themselves. The cornerstone of any party is the food. Kids were treated to themed food that was cute, tasty and good-for-them! My talented mother-in-law made the cake. I love how the icing on the side looks like water. 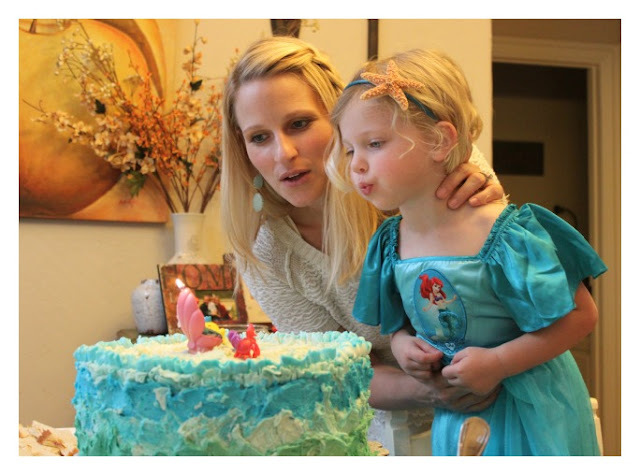 This treat is beautiful and fairly easy to make! Jenn followed the tutorial from Martha Stewart, you find it here. 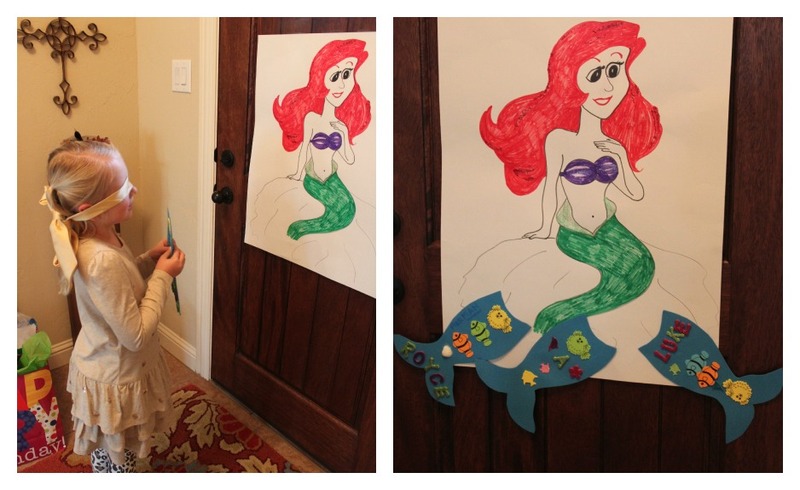 After some lunch and free-play, the kiddos gathered to make their own mermaid (or mer-man) tails. Jenn used foam and a template to cut out the tails. The kids stuck on foam stickers- which was fun for all ages. Bigger kids can spell out their name or make patterns with the stickers. An 'under the sea' twist on a classic game. Using the mermaid tails the kids decorated, the blind-folded child has to correctly place the tail on Ariel. I really liked this theme, because it is easy to do with both boys and girls. 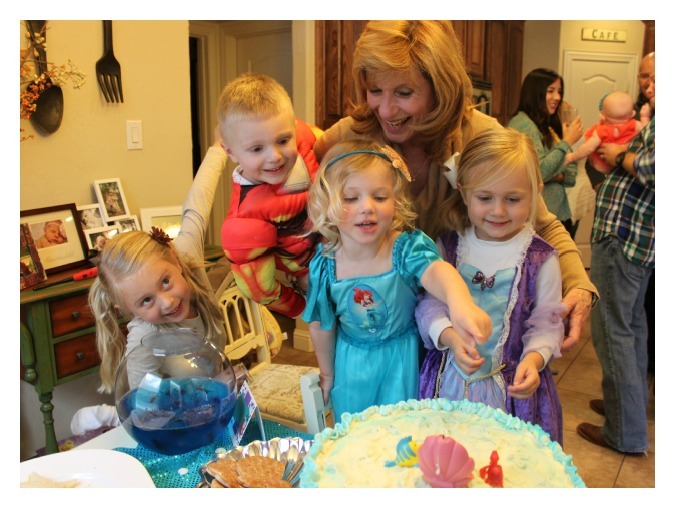 The party wrapped up with cake and smiles. 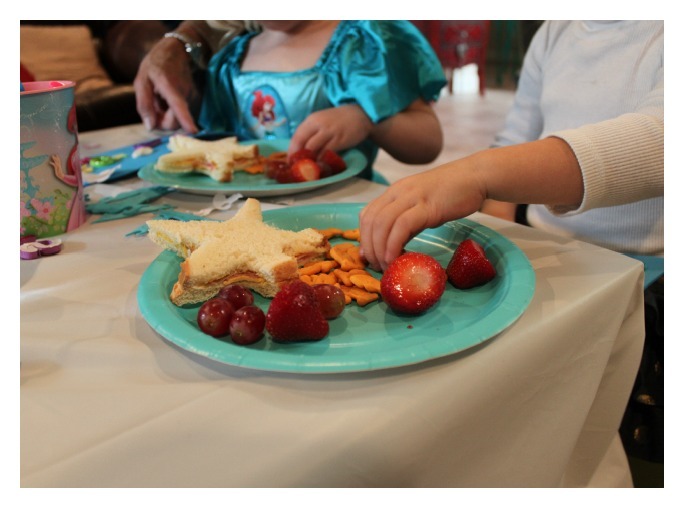 The birthday girl's headband was made by attaching a star fish to a plastic headband. You can find all the supplies at your favorite craft store. Happy Birthday sweet girl! Thank you Jenn for sharing your party- it was a lovely day! Love the theme!!! The food and cake look fabulous! Adorable! What wonderful memories for all to keep for years to come! 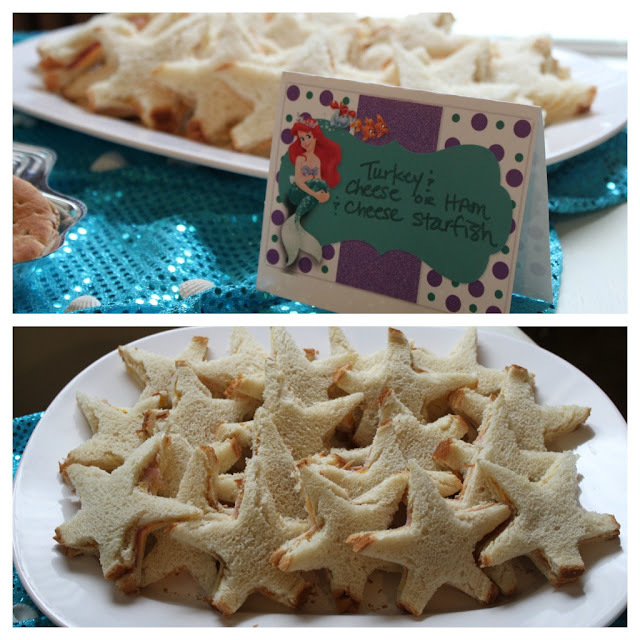 I love the star fish sandwiches the best, by the way!! How fun! Look at all those little blondies ;) Makes me want to take a beach vacation! Too flipping cute!!! And the mermaid herself is princess worthy. Put a great big smile on my face and in my heart! 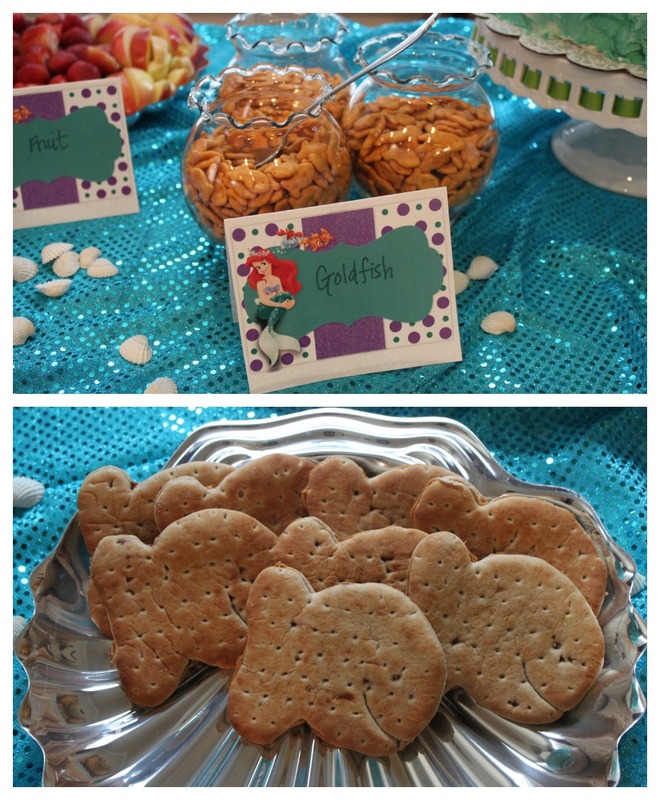 Super sweet mermaid party! The star sandwiches are are so clever and easy. Looks like they all had fun!